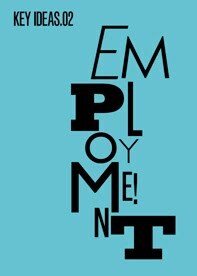 The second Key Ideas event of the 2010-2011 Academic Year tackles the fundamental issue of Employment. Over the last twenty years the creative industries have undergone a period of unparalleled change. The growth of desktop publishing technology, the expansion of the internet into all aspects of our life, and the rapid development of a plethora of digital tools have meant that the production of design and communication media are more accessible than they have ever been before. As a result the average final year undergraduate student can now create something on their laptop that, to all but the trained eye, could pass as something that a team of experienced designers and a studio full of equipment would have produced even 10 years ago. At the same time creative subjects are more popular than they have ever been before and the numbers going on to study these subjects at undergraduate level has expanded exponentially. As a result, when these students graduate they emerge into a world where there are many more graduates than jobs. Conventional career progression is extremely difficult to find and often can often only be accessed through unpaid internships and work placements. Meanwhile, clients have learnt that they can access this army of work hungry talented graduates through the internet and get them to work at a fraction of the rate demanded by more established studios. As a result we have seen a growth in ‘crowd-sourcing’ and ‘free-pitching’.